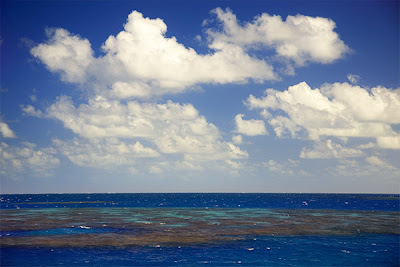 Blaine and I took an amazing dive trip out to the Great Barrier Reef. It was sooooo awesome! We saw tons of fish and really cool plant life I have never seen before. Unfortunately, the water visibility wasn’t the 100+ feet it often is, but we did have a good 50 or so. We saw 3 GIGANTIC fish that were very colorful and about 5 feet in length, and a 100 year old clam that weighed about 150 pounds. Blaine got much better photos then me because when he handed me the camera underwater it would make me shoot up toward the surface and float, because I didn’t have enough weight on. Next time I will add a few extra lb’s to my weight belt. 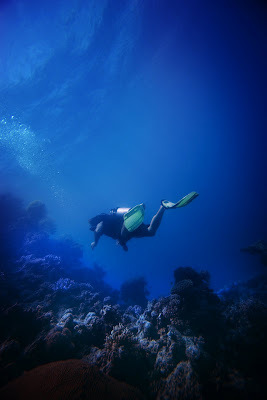 Diving is far more enjoyable in warm water when you don’t need a wetsuit. The water was about 85 degrees and the air was the same with a high humidity, so it felt good to hop in the water.